There is so much I could write about China. 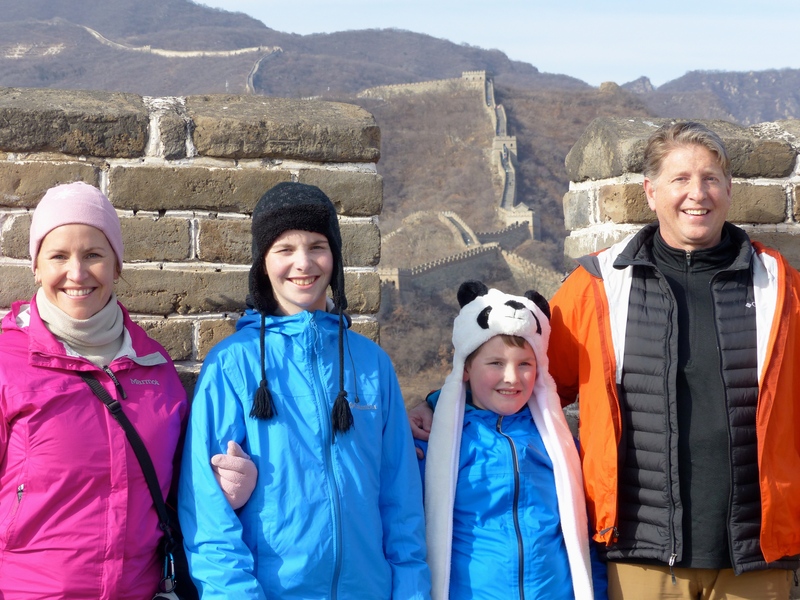 The kids’ blogs have already mentioned the main points of our trip there, so I thought I might reflect on seeing the Great Wall, which was a highlight of China for me. 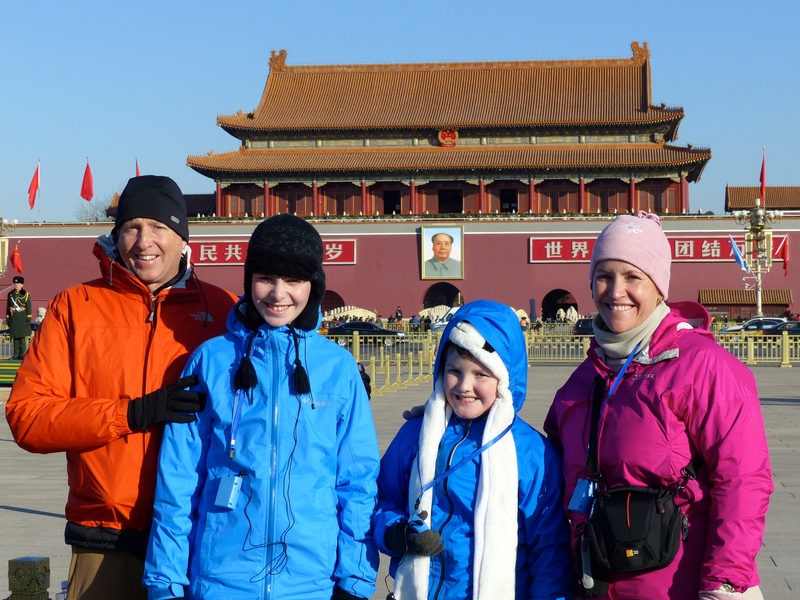 We drove out of Beijing mid-day for the 1.5 hour drive to the section of the Wall we were going to see. I was surprised by a couple of things along the way: first, I had no idea that you could see it from a very far distance, so that we were still in the city when we starting to see the outline of the wall from afar. Second, although I realized it was in the mountains, I did not realize how high up it actually was. The wall was built on the top of the ridgeline, at the top a very high mountain range. When we walked on the wall, and stopped to look over at how steep it was, it was incredible to imagine building the thing. It was also easy to see why so many workers died. They would have been building solid brick and stone walls as they stood on almost vertical cliffs. It was a gorgeous day, with an unusual clear sky, so we could see a good distance. And once again, I was surprised. I didn’t realize how many of the watchtowers there were. At least in the section you walked along, they were far more frequent than I expected. Our guide mentioned that while some portions of the wall existed in various kingdoms, it took 1,000,000 builders about 10 years to build all the connections. All in all, it made me feel very small, and in awe of what these workers and slaves did. By the way, posting this from Saigon, Vietnam, where the temperature was about 90F today. No more jackets and hats! Really enjoying your post. Look forward to hearing more. It’s snowy in Canada!! They must of had one big dog to have built a fence that big!